SWAHILI ALLY - FUSING TRADITIONAL DIGO MUSIC WITH THE DAZZLING SOUND OF THE KORA SWAHILI ALLY UPCOMING SHOWS 4.02 // Nyumbani Festival 2017 @Coco Blue (Zanzibar) 28.10 // FridayNightLiveSessions @ Coco Blue (Zanzibar) 21.10 // Lumumba Theatre @ National Museum (DarEsSalaam) 26.09 // Crazy Monday @ Red Monkey Lodge (Zanzibar) 24.09 // Musical Explosion @ Coco Blue (Zanzibar) PASSED SHOWS 27.08 // The Go Down Gig @ Go Down Arts Center (Nairobi) 05.08 // The Beat Festival @ Slipway (Dar es Salaam) 07.07 // Thursday Nite Live @ Choices (Nairobi) 25.05 // The Alchemist (Nairobi) 18.06 // Fete de la Musique @ Alliance Francaise (Nairobi) 17.06 // Exclusive Show @ Artville Studios Layington (Nairobi) 12.06 // Poetry Slam Africa (Nairobi) 04.06 // Sounds of Kili @ Glaciers (Moshi) 28.05 // Chap Chap Market @ Nafasi Art Space (Mikocheni, Dar es Salaam) 21.05 // Full Moon Party @ Kendwa Rocks (Nungwi, Zanzibar) 20.05 // Zanzibar Sessions @ La Taperia (Stone Town, Zanzibar) 16.05 // Crazy Monday @ Red Monkey Lodge (Jambiani, Zanzibar) For bookings, studio sessions and other inquries please write to: ***digomusic.booking@gmail.com*** SINGER / / MUSICIAN / / PERFORMER Traditional // Tanzanian // Digo Music // Fusion Swahili Ally is a extremely talented singer and kora player from Tanga, Tanzania. He was born into a musicians family. Taught by his grandparents - elders and respected musicians from the wadigo ethnic group - he was passed on the traditional digo music and family roots from an early age on. 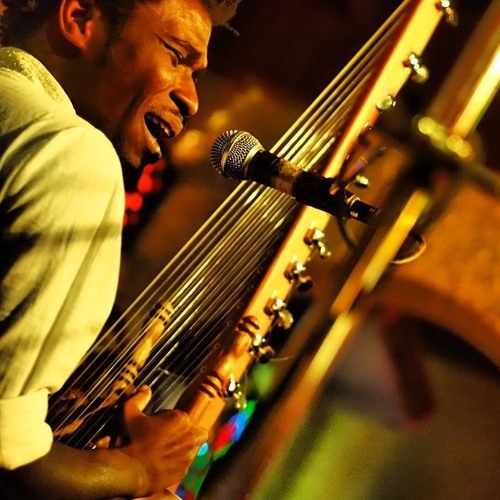 Today, Swahili Ally fuses his vibrant performance of digo music with the dazzling sound of the kora. He uses the West African instrument to pronounce his digo heritage in a unique style. His powerful message, delivered though his strong and enchanting voice, delivers a memorable and exiting performance. Having toured East Africa extensively, Swahili Ally hyped up big stages like Sauti za Busara and Jahazi Jazz Festival in Tanzania, Doa Doa Festival in Uganda, Umoja African Festival in Mozambique and Utamu Festival in Kenya. Swahili Ally performed alongside international musicians including artists from Mali, Gambia, South Africa, Ethiopia, Zimbabwe, Uganda, Mozambique, Norway and the USA. His recent Mwanamuranda Tour was big succes among the audiences in Tanzania and Kenya, leaving many with the request for more musical happenings. We thank everyone who made it happen, and still keeps on working for the musical roots of East Africa to grow.